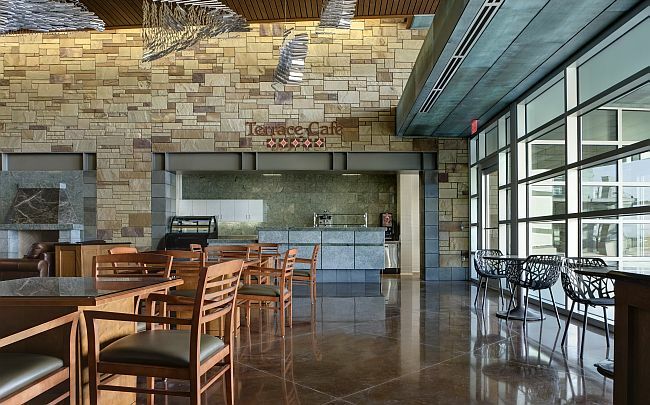 In June of 2010, the city of Grand Prairie opened the doors of The Summit at Central Park, a state-of-the-art recreation center for active seniors. 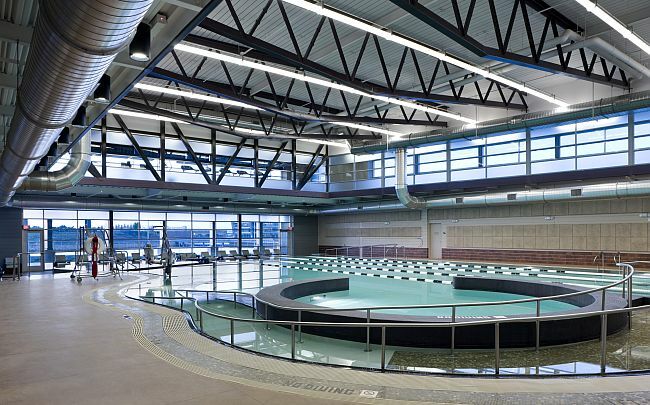 The facility boasts an extensive athletic center including an aquatic center with lap and infinity-edged pools, hot tubs and saunas, luxurious dining areas, ballrooms, game rooms, a pottery center, teaching kitchen, 88-seat movie theater, and on-site lakes and green space. 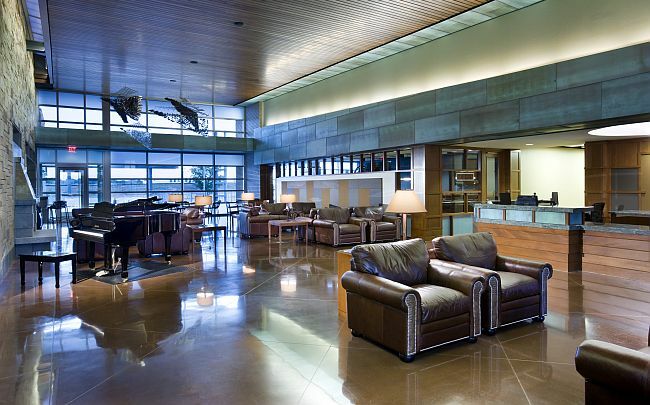 The entire facility is over 56,000 square feet and Texas Bomanite was called in by Manhattan Construction to create over 11,920 square feet of custom flooring designed by Brinkley Sargent Architects. 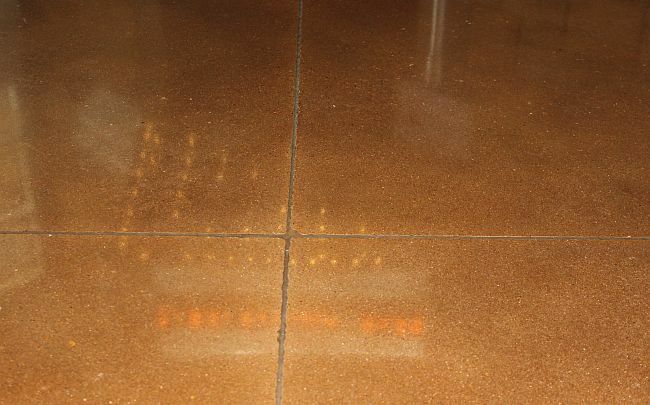 The Bomanite Custom Polishing System, Renaissance, was chosen. 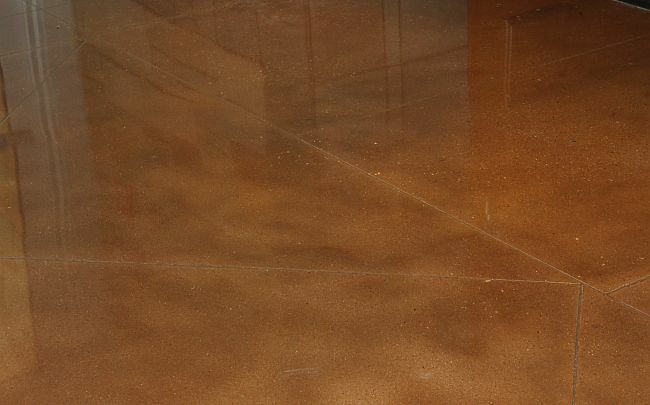 A 2” integrally colored topping, was installed over a waterproof membrane, which was polished to the desired grit level, depending on the location (lobby & corridors or pool deck). 4,000 Linear Feet of joint filler finished these areas out. 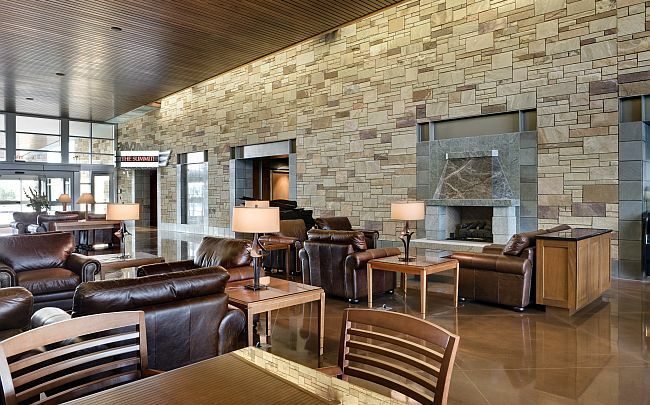 For more information about the Summit, visit the City of Grand Prairie’s Parks and Recreation website at www.grandfungp.com/thesummit.